White Azeztulite and Gold for New Moon 5-6-16 – GemPowerment. Reveal your light. 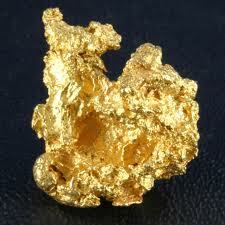 Azeztulite is imbued with the energies from the Great Central Sun and is found in many places on the planet. Greetings Beloved GemPeople and Happy Super New Moon in Taurus! We also have Mercury and Venus in Taurus at this time, as well as, five planets (Mercury, Mars, Saturn, Jupiter, Pluto) retrograde right now. This is a big opportunity in the cosmic energy game, GemPeeps! We can find fresh perspectives or views we could never before entertain, which presents us with freedom from past beliefs or thought-forms. Jupiter is in Virgo, so once you get that clearer picture you can anchor in some plans for the future. With the Divine Feminine and the theme of abundance so prominent in these energies, it is a beautiful chance to re-connect with our bodies, and with the body of Gaia. Personal self-growth and acceptance of who we really are as Spirit Beings in an Earthly body are highlighted, as well as finding our true voice. This is a time to exist in the infinite now, and find our balance of body and spirit. However, with the Moon in perigee (i.e. close to the Earth), we might have some emotional high tides, so if these rise up to overwhelm you, head for the hills…literally! Forests, mountains, nature! Revel in it! You might also try a daily sound bath by daily overtoning to help stay grounded and clear your subtle bodies (check out this great video for a lesson from my beloved Sound Shaman, Chanara). Empaths, you might want to power up your shields and make sure that anything you feel is really yours. With all these astrological energies roiling up like a cauldron over a bonfire, we need a filter to make the most of the experience and keep things moving with the highest vibration possible. Guidance is suggesting a combination of White Azeztulite and Gold to be used from the New Moon through the Full Moon on May 21. White Azeztulite is a high-vibration stone which is imbued with an energy that Robert Simmons and others have called the Azez, meaning “Nameless Light.” This is meant to refer to the Light from the Great Central Sun at the center of our Galaxy, from whence comes all the light codes, via our local Sun, to alter our DNA and raise the vibration of our beautiful Earth. Chemically, Azeztulite is a milky Quartz material, which has been found in a few locations globally, although it cannot be differentiated by it’s elements from other Quartz. It was originally found in North Carolina, USA, and now seems to be showing up in combination stones. 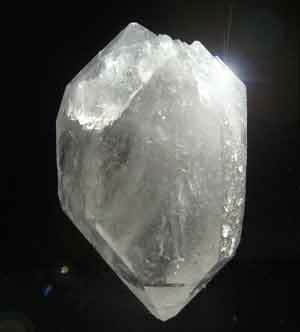 It is said that Azeztulite opens the Chakras from the 3rd eye and up – through the Transpersonal/Soul Star Chakra. White Azeztulite is a powerful all-over subtle-body healer and protector against negative energies. One of the purposes of this stone is to eventually convert all Quartz into this higher vibration stone in perfect timing with the Divine evolutionary process of Gaia. We see how our well-being is so very interlinked with other people, with the environment, and the availability of clean air and water, and how our Planet is ONE with the Universe. So, what we desire and intention into manifestation is important to the WHOLE. White Azeztulite is offering its Light vibration to help us be inspired when we work with our desires in the New Moon period, and even open us up to other possibilities and the best versions of what we desire to create. Gold is often associated with the Sun – not only our local solar body, but by many ancient cultures and New Age culture with the Great Central Sun of our galaxy. It is a rather rare element in the cosmos; and we are lucky to have a fair abundance here on our little Blue planet. Gold’s inherent property of high electrical conductivity and low reactivity are a rare combination and perfect for providing a high-energy but stable vibrational field. After all, what is Light but slow-moving electricity? Gold is well-known as an element which can carry the energy of the Sun and archetypal Masculine on this planet, as well as being an augmenter of positive vibrations and all things aligned with Source. It is the quintessential metal to represent manifestation from Spirit into 3D, and often symbolizes our reward at the end of an arduous journey or quest where there have been lessons learned and growth of the Soul.